Given my standing in the community, I am often asked, "what is your favorite food?" My answer is generally, "I don't have a favorite food, I go through phases and generally whatever phase I am currently in is what happens to be my favorite food or cuisine at the moment." Right now I am not necessarily in a phase. Regardless of what phase I am in, though, pizza is something that is generally always one of my favorites. 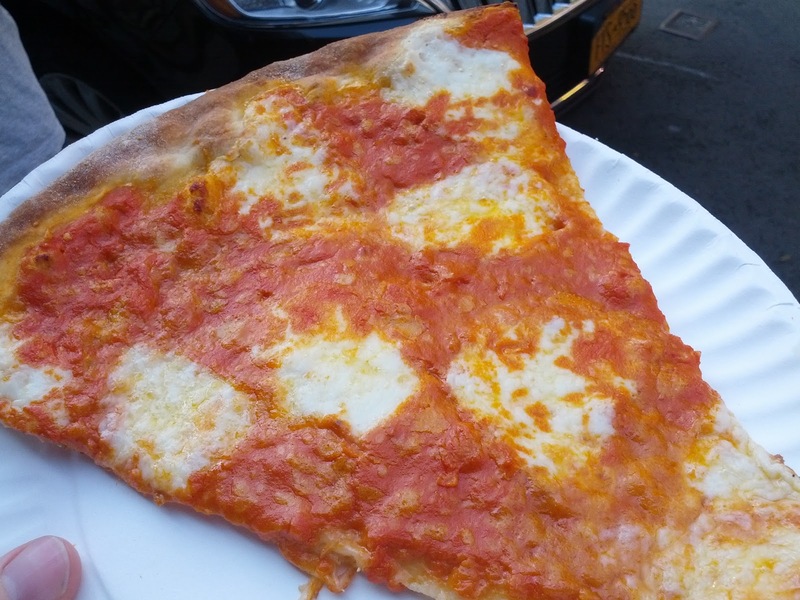 For a while, I was quite taken with the Naples's-style pizza revolution here in New York, although as of late I have drifted towards more humble, New York/metro-area style pies. Dear friend, let me run down some pizza that I have had as of late and inform you of my thoughts. 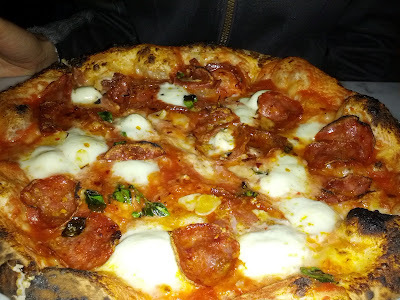 This pie is the soppressata picante at Motorino. Motorino makes pies which are Naples-style. This one contains a piquant cured meat with chile oil and garlic. It's wonderful. Above is a vodka slice from Rubirosa. Never would I have expected to like pizza with Vodka sauce - until recently I had considered myself a sauce purist. 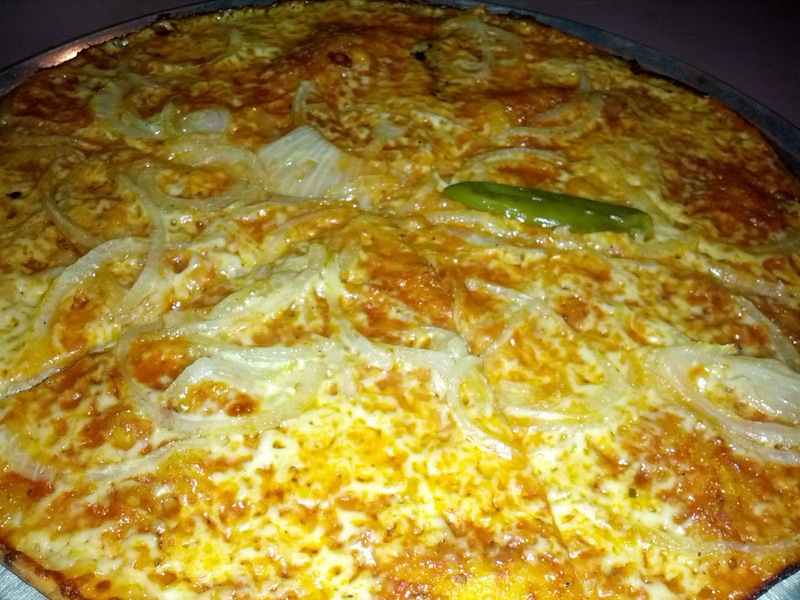 But this pizza has a rich creaminess which is mesmerizing. Above is a pepperoni Sicilian slice from Prince Street Pizza, which took over the space that used to be Ray's. I must say, based on my impressions, Prince Street is better, based on their square selections. 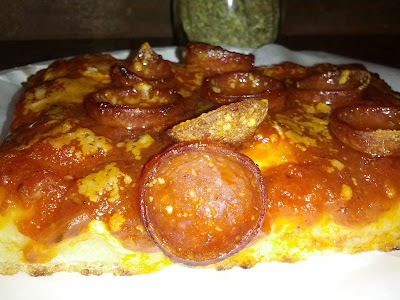 This pie had a sweetish sauce, but it was balanced with pungency from the pepperoni, which curled upwards towards and the heavens, creating little basins for the oils. Actually now that I think of it, maybe I do have a favorite food right now, and it's the pizza from Colony Grill in Stamford, Connecticut. Their pizzas are very thin, and have a nice, aged mozzarella. I got mine with hot oil, which adds an ever-so-slight heat, and onions, which add an amazingly scrumptious dimension to the bubbly cheeses. One of the best things about the pizza at Colony Grill is that the cheese get baked into the edge of the pie, creating a caramelization that's beyond reproach. 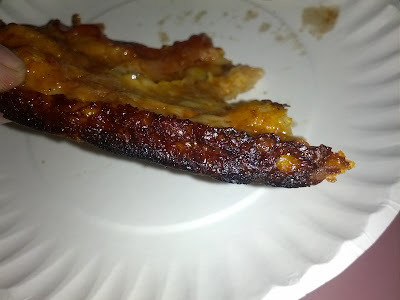 This has been another episode of the Pizza Files.